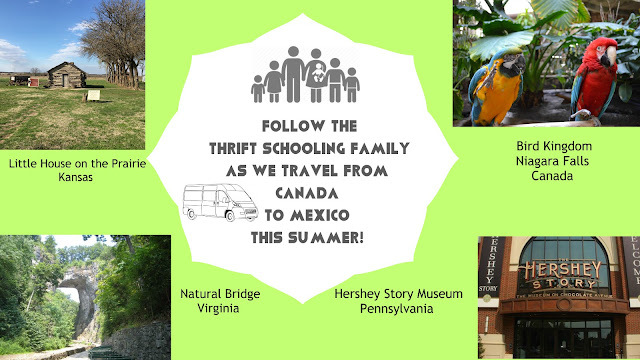 our family has been able to incorporate the following superfood products into our daily lives. Who knew that pond scum could be so good for you? Haha, no really, spirulina is in essence just that. But, in all honesty, it is one of the best things you should include into your diet! Personally, I use spirulina when I am nursing for that extra energy push that I need. Since it has such a high concentration of protein it helps replenish me when baby is draining me dry! Not only that, the intense green color that spirulina holds comes from it's chlorophyll content. Chlorophyll is essential after birth, and highly recommended by midwives. Chlorophyll helps to restore the blood that was lost during birth, so ideally it is important to have on hand immediately after birth. Spirulina has over 100 types of vitamins & nutrients, more than any other type of grain, plant, or herb. So instead of hitting your local pond trying to find this wonder of the world, simply buy this powder and infuse into anything your heart desires! 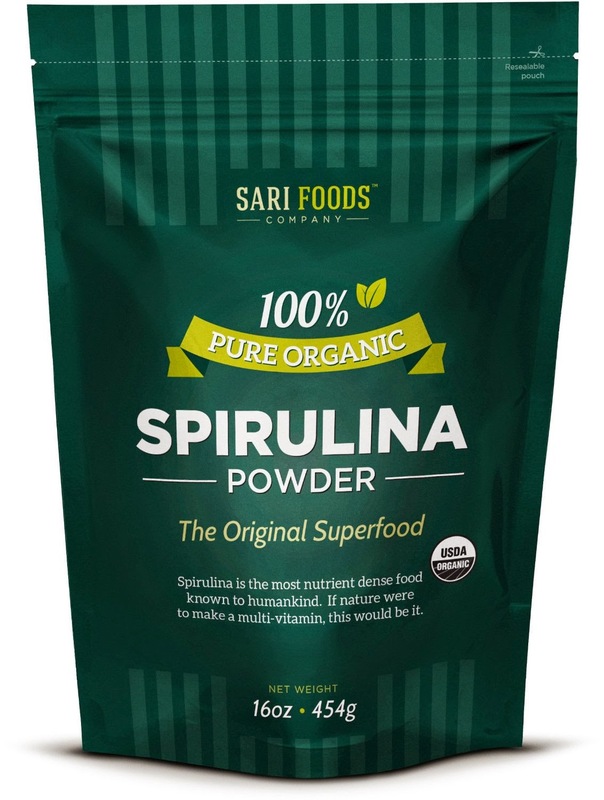 When I received my 16 ounce bag of Spirulina Powder from Sari Foods, we added it to our hummus. It turned our favorite treat bright green and added a pile of nutrients to our snack! We also keep it on hand to add into salad dressings and green smoothies. If you like to sprinkle cheese on virtually anything but can't have dairy then you might enjoy Nutritional Yeast Flakes by Sari Foods. This gluten and dairy free superfood is a non-synthetic whole food that you can feel good about. It can be used as a low sodium salt substitute and it is lightly cheese flavored so it can be sprinkled on anything that you would put cheese on. When I received my 8oz package, we began using this on salads for an added health kick. I'm also keeping it on hand for when we make our own popcorn. We don't use a microwave in our home and pop our kernals on the stove. One of the best benefits of this is that we can control what it is seasoned with and I know what I am feeding my family! This is a great addition to our kitchen that we can feel good about. 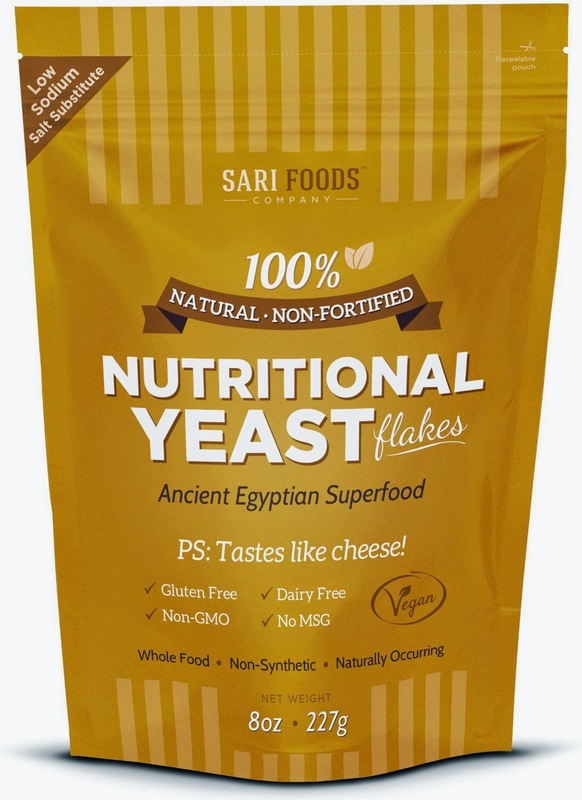 Sari foods nutritional yeast is naturally comprised of 50% protein, over 20% fiber, contains all 18 amino acids and 15 different minerals (including iron, selenium and zinc) as well as a natural vitamin B-complex and Beta-glucans (known for their extreme immune enhancing properties). I'm not sure I can say that about the additives found in tradtional microwave popcorn! is 100% food based. Vitamin C is nature’s complete complex, providing you with all of the benefits of this miracle vitamin without compromising your body or health. 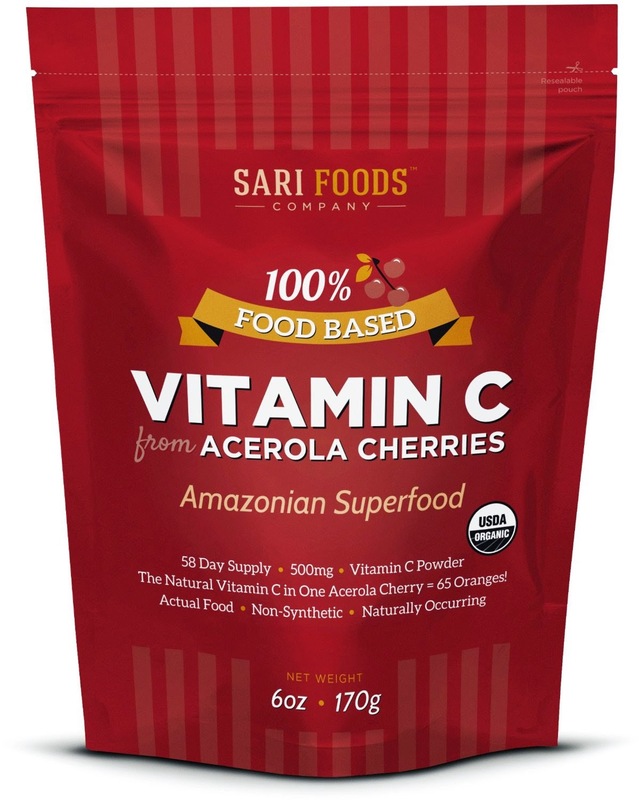 It is extracted from acerola cherries so you can be sure that it is completely food based and able to be absorbed by your body with no problems. The most ideal use for this powder is to add it to smoothies or other drinks healthy drinks such as kombucha or teas. I highly recommend this as a healthy, organic addition to the healthy drinks you already make! Disclaimer: This post is powered by Brandbacker. All opinions stated here are my own.